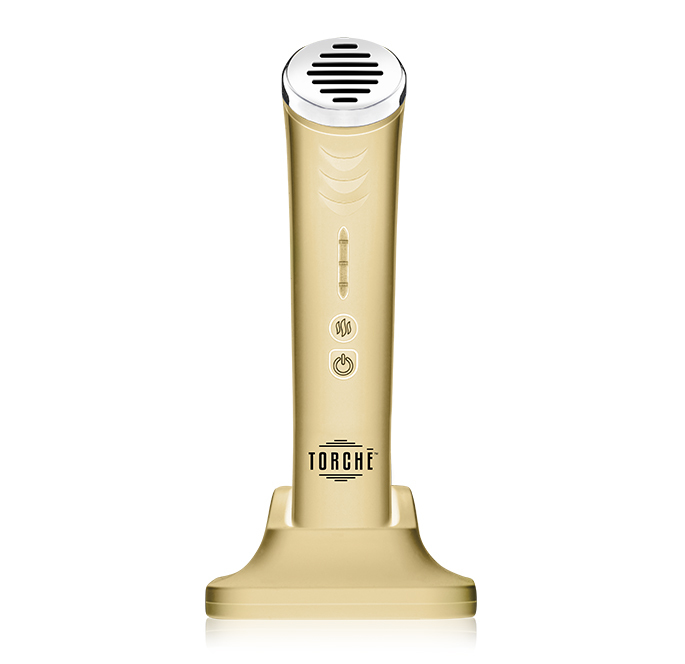 The skin on the neck contains fewer oil glands and melanocytes than the skin on the face, making it more easily prone to dryness, wrinkles and sun damage. 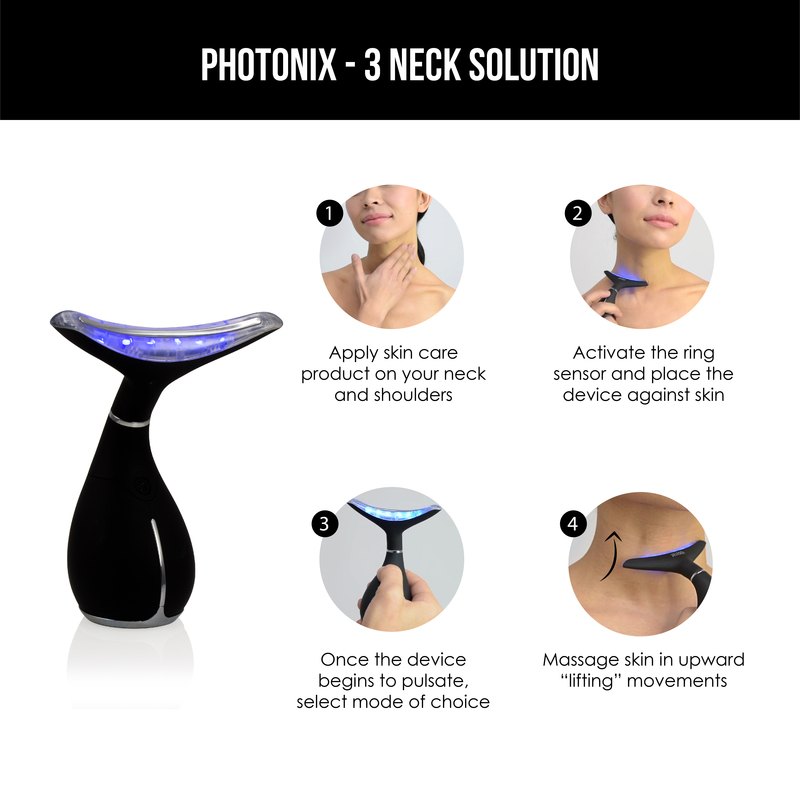 Many experts agree that this area of the body is the most difficult to treat, which is where the Jelessi Photonix-3 Neck Solution device comes in to help. 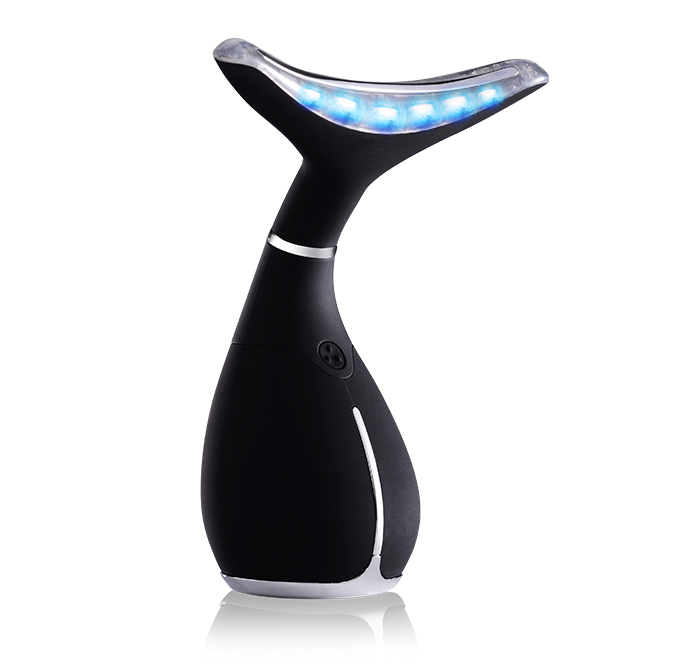 The device provides several skin benefits, depending on the modes used for treatment. 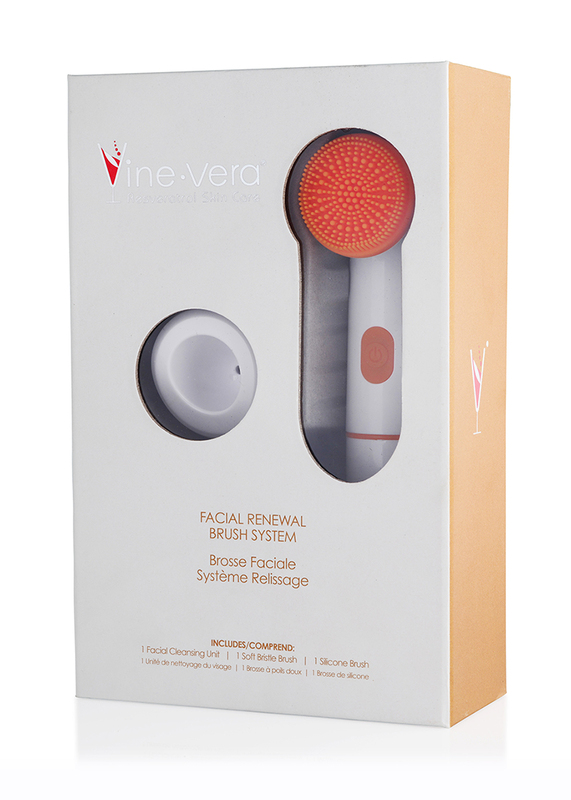 The first gear of the device is Massage Mode, which gently massages the skin to promote the production of collagen and elastin, both of which are vital for a smooth and firm complexion. 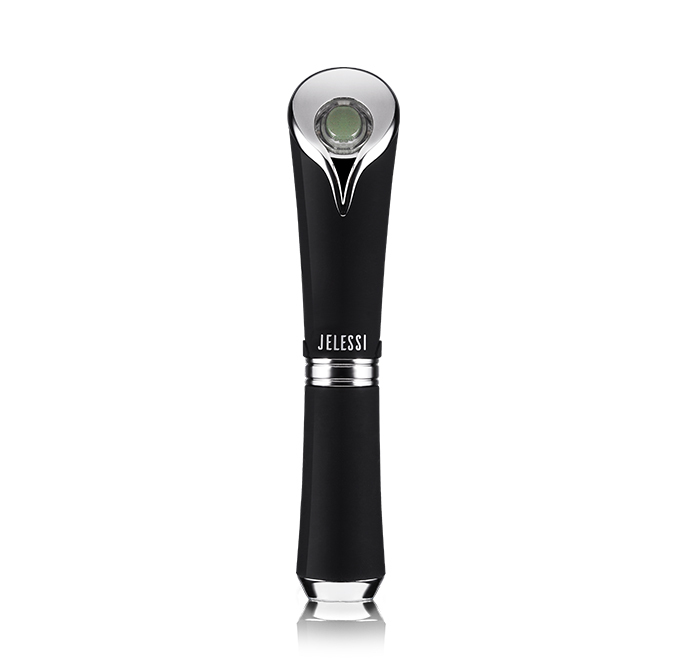 The device also features a Magnetic Heat Lifting Mode, which stimulates the growth of fibroblasts while helping to smooth out fine lines and wrinkles. Apply your favorite skin care product on your neck and shoulders. To turn on, activate the ring sensor and place the device against skin. Once the device begins to pulsate, select mode according to preference. Move the device over your skin in gentle. Upward “lifting” movements. To turn off, press the power button for up to 3 seconds. Ensure that the device is turned off and clean with a cloth. Do not use soap, disinfectants, or liquid detergents directly on the device. 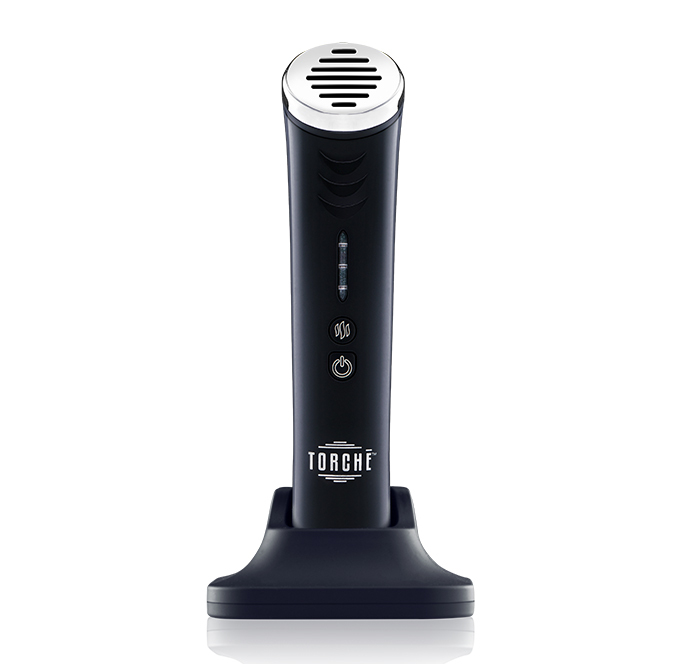 Put the protective cover back on, and store in a dry and well-ventilated place.